You might have had a hard time finding images using folders or tagging. Sometimes even if you carefully sort your images by hand, they seem to get lost. Ivy Search creates related image sets using metadata automatically. Ivy Search sorts images using information such as dates, application names, URLs, page titles, and OCR scanned data that are indexed privately when you capture an image. We’ve designed it to work the way you recall things in your brain - starting from a vague idea and then tracing a chain of memories that are related. Now you can easily stay organized and always find what you want. Each time you see an image, new related images will be displayed below it as "Related images". By clicking through a few sets of related images you can always find what you were looking for. You might be surprised to even find a few images you forgot about. 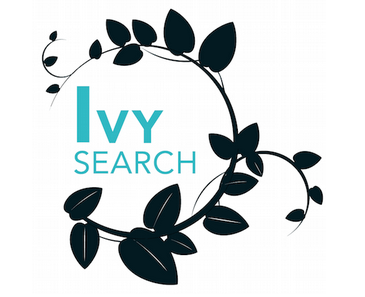 Ivy Search has been designed to be intuitive by working the same way we remember ideas. First we think of vague ideas that are related to other ideas, and then we can recall clear memories and stories to share with others. For example, you might be searching for an office interior but do not remember the date or title. You also captured another image related to this project which came from a webpage. Simply enter part of the link that the image came from and you can find multiple related images, leading you to the one you want. Many of us have tried to name files and folders or added lots of tags, but staying organized is always too much work. We do not have the time to name, describe, or tag images according to the best scheme. What is worse, sometimes we forget our own naming scheme and things can get lost in the clutter. With the new Gyazo, these problems are solved with automatic sorting based on simple metadata. How does Ivy Search make connections between my images? 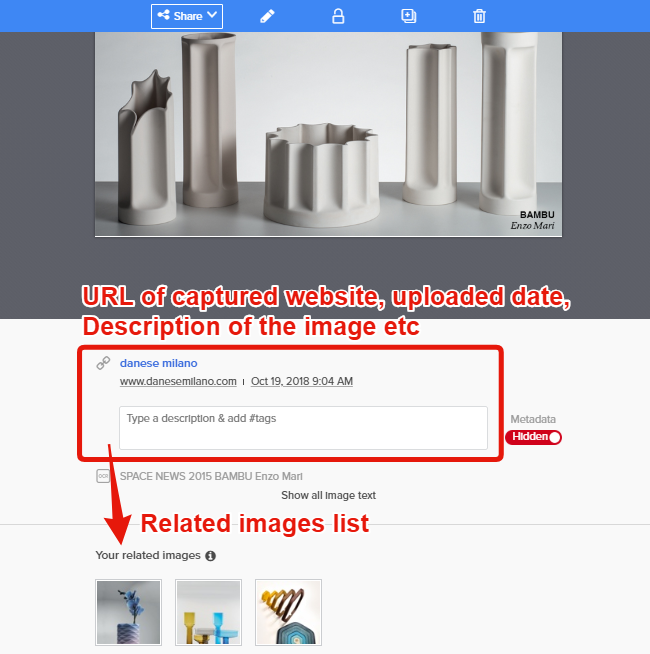 The similarities between images are calculated using creation dates, application names, URLs, and web page titles plus any description you type in. Every time you capture a new image the app will collect this metadata and use natural language processing to display a set of similar images instantly. This means all of your Gyazo images are kept in order without any special effort on your part. And you always have the option to quickly add your own description text for more specific organization but you only need to do it once for each set. For example, when you find one image with the description “Hawaii” then you can see all the images taken around that time. If you then click a sunset photo, you can see other sunset photos in your collection. Just clicking images one by one, you can enjoy recalling memories. Can someone else see my metadata when sharing a Gyazo image?